Sizes Available: 75x75, 100x60, 120x80. Cluster Crystals in Skull design, encased in Glitter Liquid Glass. This glamorous skull art is a beautifully designed piece, hand finished in the UK and available in a variety of sizes such as 75x75, 100x60 and 120x80, you can also choose your own size and have it custom made. 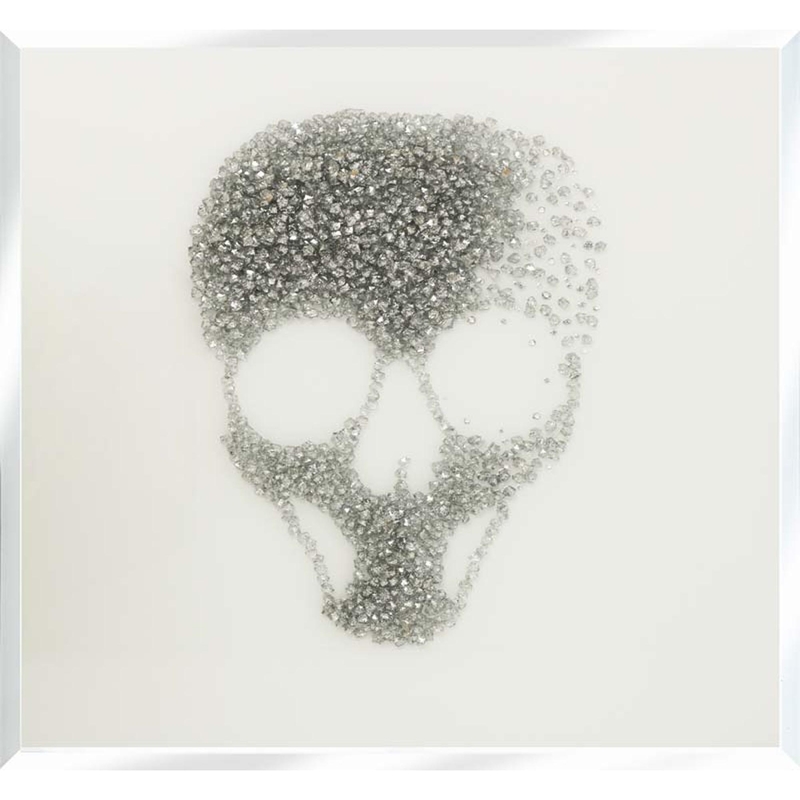 With the skull bringing out a edgy look in your home, the skull designed is filled with cluster crystals, encased in glitter liquid glass; keeping this piece glamorous and chic.